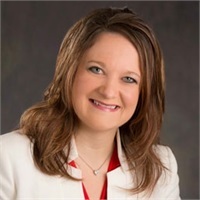 Richelle Hofer | Cornerstone Financial Solutions, Inc.
Richelle spends most of her days meeting with clients. Please contact Senior Business Development Manager/Client Relations, Shelli Mosher, for a quicker response. Richelle is passionate about helping people enrich their lives through financial planning. She works hard to understand who you are, what brought you here and where you want to go. By means of education and collaboration, she designs a personalized "road-map" to help you accomplish your goals.